At Neurohealth we proudly stock the following equipment that helps restore, and maintain the body. Mimos Pillows – The Mimos® Air Spacer baby pillow is the baby pillow you can trust, it is clinically proven for pressure relief and made from super-soft high quality 3D spacer fabric. A comfortable pillow that dramatically reduces head pressure aiding in the prevention and correction of flat-head syndrome. 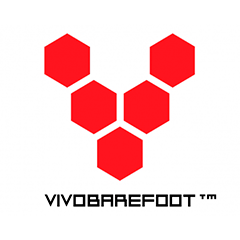 Vivo Barefoot Shoes – VIVOBAREFOOT offer a range of barefoot shoes for men, women and kids. Ultra-thin puncture resistance soles that let your feet do the natural thing. Bioceuticals – Your choice for high-quality, practitioner-only, nutritional and therapeutic supplements from a proudly Australian company. Renowned for manufacturing and delivering high quality integrative medicines to healthcare practitioners, BioCeuticals aims to consistently raise the standards of complementary therapies. Metagenics – The Metagenics quality process has continued to set itself above the industry standard as it has from the conception of the company 30 years ago. We are committed to upholding the principles of safety, quality and efficacy as the cornerstone of our mission to participate together in helping people live happier and healthier lives. Biomedica – BioMedica is an Australian owned company dedicated to the research, development and production of high quality nutraceuticals; developed by practitioners for practitioners. Quality, efficacy and unique no to low excipient formulations have been fundamental to our growing reputation. BioMedica is strongly dedicated to supporting holistic practitioners. Our formulas are only available through professional prescription, as holistically minded and qualified practitioners are best placed to assist with maximising clinical outcomes in acute and chronic conditions. Enterosgel – Fresh to the Australian market, drug-free Enterosgel® is the modern day enterosorbent solution. It is recommended for the management and reduction of stomach and intestinal illness symptoms and is an ideal adjuvant to standard rehydration therapy. PostureMedic – Posture Medic was developed as a rehabilitation tool by Gabriel Burrell, a personal trainer, strength coach and rehab specialist. Posture Medic was designed to combine the range of exercises and movements that are normally prescribed for shoulder and upper back stiffness, impingements and injuries – but in a single form that replaces the typical multiple pieces of equipment used in rehab. Rocktape – RockTape is a special kind of tape known as kinesiology tape. First used by acupuncturists and chiropractors in Japan, today kinesiology tape is used by practitioners throughout the world to treat injuries and improve sports performance. 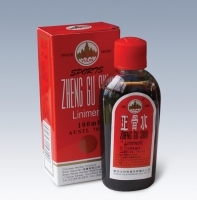 Zheng Gu Shui is a brand of traditional chinese liniment which when translated, means “Fix Bone Water”, or “Rectify Bone Water.” The formula, created by a Chinese master herbalist over 500 years ago, was used to treat fractures, broken bones and injuries suffered in combat. It is used today by Chinese medical practitioners to treat all kind of injuries, including sports, automobile and accidental injuries. Naturelle Latex Pillows – A luxurious pillow in natural latex rubber – from the natural rubber tree. Therapeutically designed and gently contoured, sumptuously soft and wonderfully supportive. Pure latex does not sag or lose its shape. Naked Paleo Bars – Delicious and 100% guilt-free. Cacao Almond made from almonds, walnuts, coconut, cacao, coconut oil and dates. Berry Citrus made from almonds, sunflower seeds, coconut, strawberry powder, blueberry powder, coconut oil, lemon oil and dates. Minty Matcha made from cashews, coconut, sunflower seeds, cacao nibs, coconut oil, matcha powder and peppermint oil and dates. Nothing to hide. Packed with nutrition, no added sugar, dairy or grains and is gluten and preservative free. 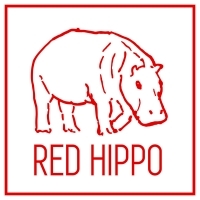 Red Hippo Protein Powders – Best natural wholefood protein powders for athletes and active people.